An early market for hydrogen peroxide was its use for bleaching straw hats, which were popular in the early 1900's. Peroxide is used in making cheese. Hydrogen peroxide is used as a bleaching agent in the paper and pulp industry. Some fibers used for making fabric are also bleached with peroxide. Hydrogen peroxide is used in making aseptic packaging. Hydrogen peroxide is a registered pesticide. Teeth can be whitened with peroxide, which is sometimes done by dentists. Beauticians use hydrogen peroxide to bleach hair. Wastewater treatment and other water treatment operations use hydrogen peroxide, as a disinfectant, and to clean water. Companies and government agencies that specialize in decontamination of various kinds use hydrogen peroxide. Hydrogen peroxide is used in cleaning and etching printed circuit boards (for computers). Hydrogen peroxide is used in dechlorination -- removing chlorine from water. There are many consumer products made with hydrogen peroxide or sodium percarbonate, including many kinds of cleaning products, laundry products, contact lens solution, mouthwash, and so on. 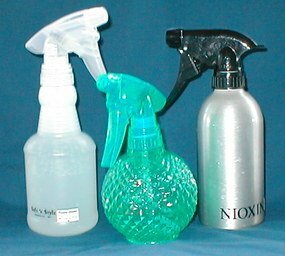 These products are used in homes, so in a way these are home uses of peroxide. But since companies are making, packaging, and labeling these products to sell, this is also a commercial undertaking. Hydrogen peroxide is made into many kinds of consumer products. And there are more and more such products over time. Things like spot removers, laundry treatments, mouth washes, rinses, toothpaste, and wood cleaners. 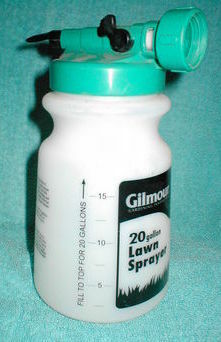 Some commercial products are used both in companies and homes. For example, peroxide is used in both home gardens and commercial agriculture, just at very different scales. Products like peroxide-based mouthwash are made by companies, but you can also use hydrogen peroxide for this purpose without buying the product, just using hydrogen peroxide directly. Other things -- like bleaching paper pulp and whitening teeth -- are NOT things that you are likely to use peroxide for on your own at home. Both of the pages above are advertisements, which hope to entice you to buy a longer report that's been prepared about the outlook of these markets. Does this expand your thinking? It really does expand mine! 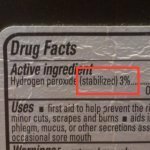 This stuff takes my thinking about the scope and seriousness of what using hydrogen peroxide can include to very different places.